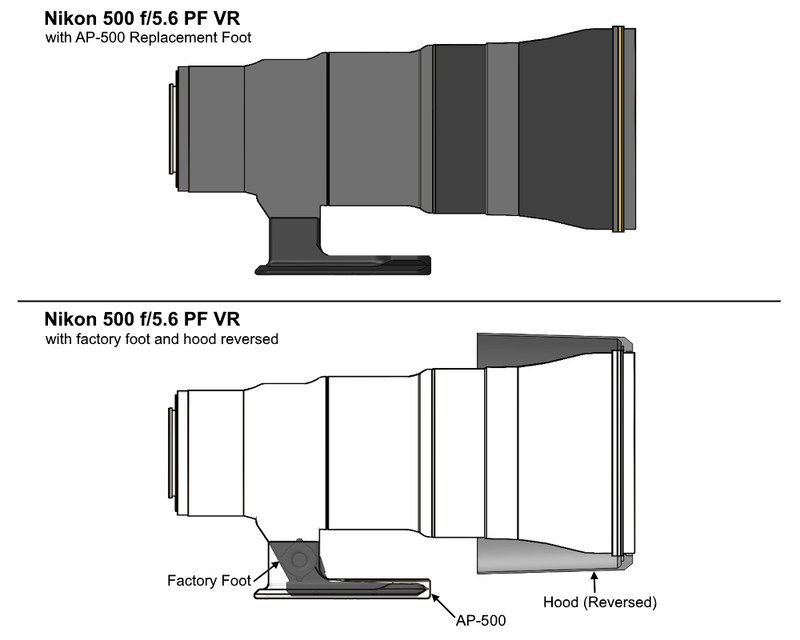 The AP-500 replaces the stock foot on Nikon Lenses (See list below, Image of compatibility chart, or our website). 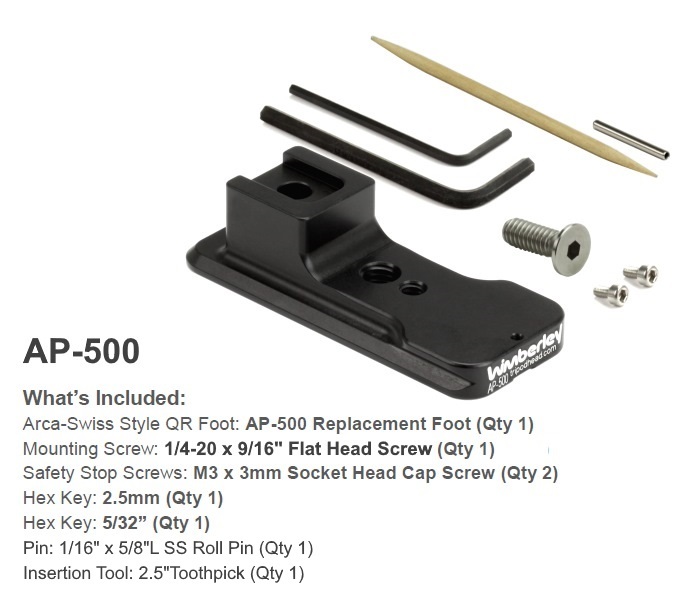 The AP-500 is precision machined to slide right into an Arca-Swiss style quick-release clamp. It also has 1/4" and 3/8" tapped holes for mounting to non-quick-release tripod heads and monopods. 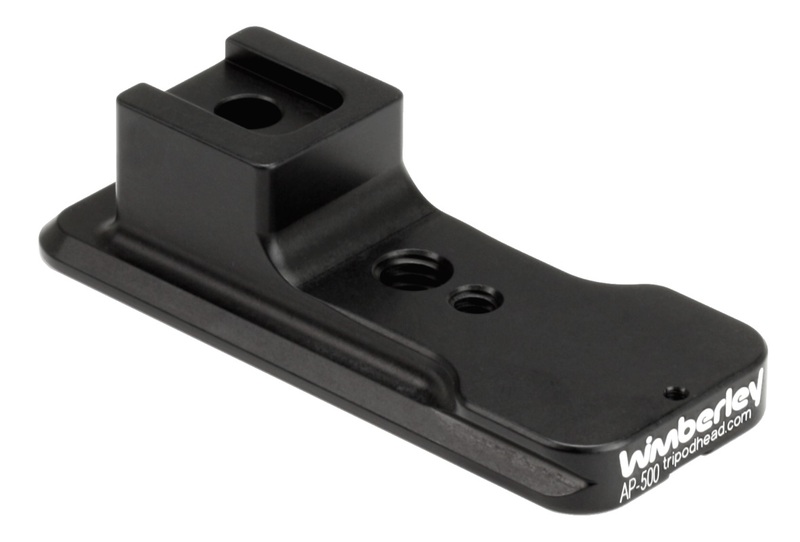 All replacement feet feature the same dual safety stops and flash bracket compatibility as our lens plates. We use finite element analysis validated by empirical data when we design our feet. This process allows us to optimize the weight to stiffness ratio. Other manufacturers often reduce weight by removing material in ways that are convenient for the machining process or aesthetic design while ignoring stiffness performance resulting in rigidity below our quality standards.